The Messerschmitt Bf 109 is without a doubt one of the most famous and successful fighters of WWII. The Messerschmitt factories produced nearly 35,000 Bf 109s between 1935 and 1945, almost exclusively for Nazi Germany’s Luftwaffe. The Messerschmitt company’s first foreign customer was Switzerland, which remained neutral throughout the war and was not a German ally. Nevertheless, thanks to friendly relations with high officials in Berlin, the Swiss government managed to acquire two batches of the most modern fighter produced in Germany at the time. 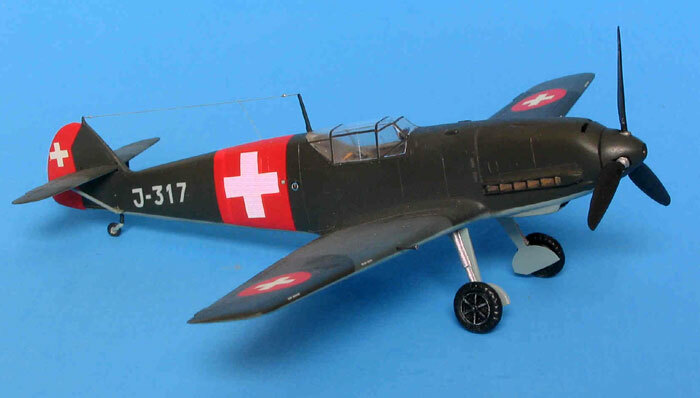 The Swiss Air Force received 10 Bf 109 D “Dora” in 1938, and 80 Bf 109 E “Emil” in 1939. The Germans soon came to regret their deal with the Swiss. In the spring of 1940 the Swiss Air Force sent their new fighters to intercept German Heinkel He 111 bombers that were using Swiss airspace without permission, as a shortcut, while returning to their bases in southern Germany after bombing runs over southeastern France. Four German bombers were shot down during these encounters. The Luftwaffe brass back in Germany was furious and decided to retaliate. They decided to teach the Swiss a lesson, by luring the inexperienced Swiss pilots into a fight the Germans thought the Swiss would surely lose. On June 4 and 6, 1940 large numbers of Luftwaffe Bf 109 fighters were ordered to enter Swiss airspace while patrolling along the French border with Switzerland. 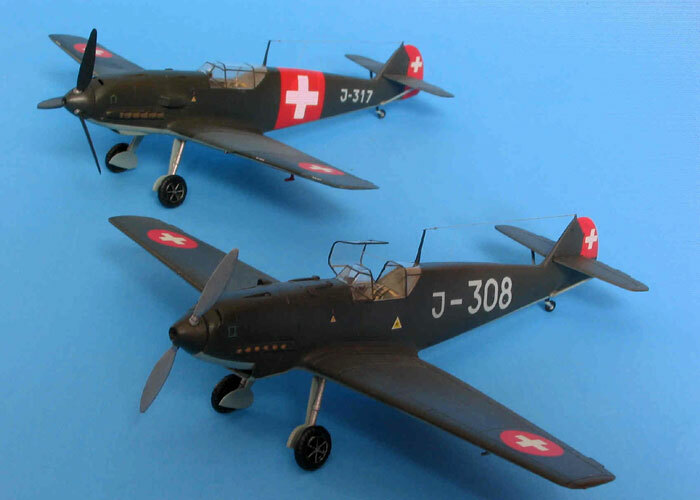 As they did so, a few Swiss Messerschmitt fighters promptly appeared on the scene. Despite the impossible odds of being outnumbered by the more skilled Germans, the Swiss pilots managed to shoot down five Bf 109s, while losing just two of their own Bf 109s. As this was not the outcome the Germans had in mind, Hermann Goering, the chief of the Luftwaffe, personally demanded that the Swiss be forced to return their Messerschmitts to Germany. This demand was not met, of course. But, given the fact that Switzerland was surrounded by Germany and its allies at the time, and bowing to heavy diplomatic pressure from Germany, the Swiss Air Force had no choice but to ground their Bf 109s, for the time being, for all but training missions. After 1943, the grounding order was lifted, and Swiss Bf 109s became a welcome sight to crews of American B-17s and B-24s seeking refuge in neutral Switzerland. Soon after the war, spare parts for the Messerschmitts in Switzerland started to run out. The last Swiss Bf 109s were retired in 1947, being replaced by surplus American P-51 Mustangs. I decided to build both a Bf 109 D and Bf 109 E for my 1/72 scale collection. It’s easy to find kits of the Bf 109 E, it being one of the most produced versions of the famous Messerschmitt fighter. I bought a number of Hasegawa special edition kits, which included Swiss decals. To my knowledge, the only available kit of the Bf 109 D in 1/72 scale is by the Russian company Aeroplast. To enhance my models I used Aires resin cockpits and Squadron vacuformed canopies. Reference material about the Bf 109 is plentyful. If you’re looking to build a Swiss Bf 109 , I can recommend Squadron Signal’s Bf 109 “Walk Around”. A good portion of this book covers the Bf 109 E on display at the Swiss Air Force Museum in Duebendorf, Switzerland. The ultimate source about Swiss Bf 109s is the new book “Messerschmitt Bf 109 in Swiss Air Force Service” by Georg Hoch, which I highly recommend. My plan was to use the Aeroplast kit for my Bf 109 D model, but the kit was a big disappointment. 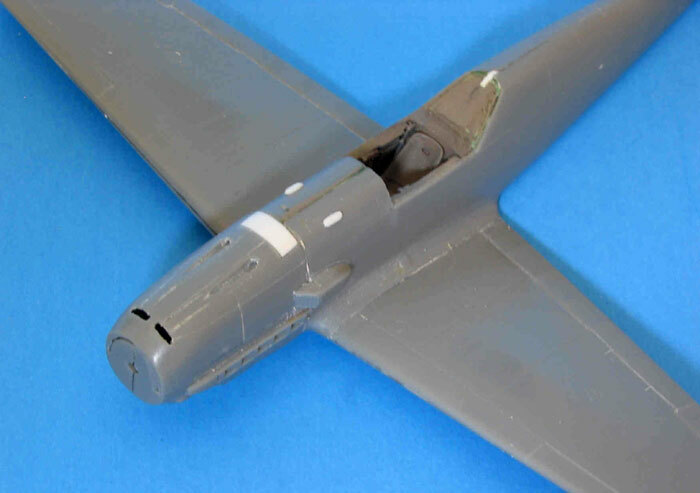 The surface of all the kit parts is very rough and the overall shape of the fuselage did not look accurate. So I went ahead with plan B, which was converting one of the Hasegawa Bf 109 Es to a D model. The Bf 109 D was largely identical to the Bf 109 E, except for the Jumo engine. I started by separating the lower front fuselage from the Hasegawa kit’s fuselage halves. Then, I shaped a new lower front fuselage and radiator from sheet styrene. I incorporated the Aeroplast kit’s rear radiator portion and exhaust stacks after cleaning them up. The new radiator assembly was carefully fitted once the fuselage halves were joined. The underwing oil coolers were removed with an X-acto knife and the resulting voids filled with sheet styrene glued in place with superglue. 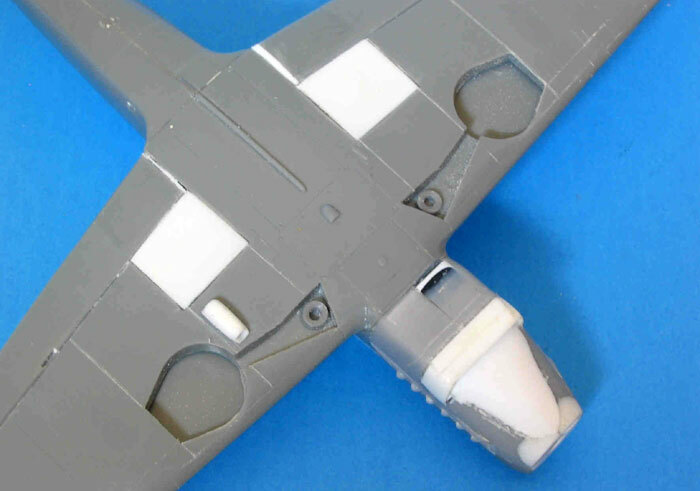 The Bf 109 D featured a small oil cooler under the port wing, which I fashioned from styrene tubing. I used the two-bladed propeller and the air intake on the upper cowling from the Aeroplast kit after some cleanup. The Bf 109 E was built out of the box. 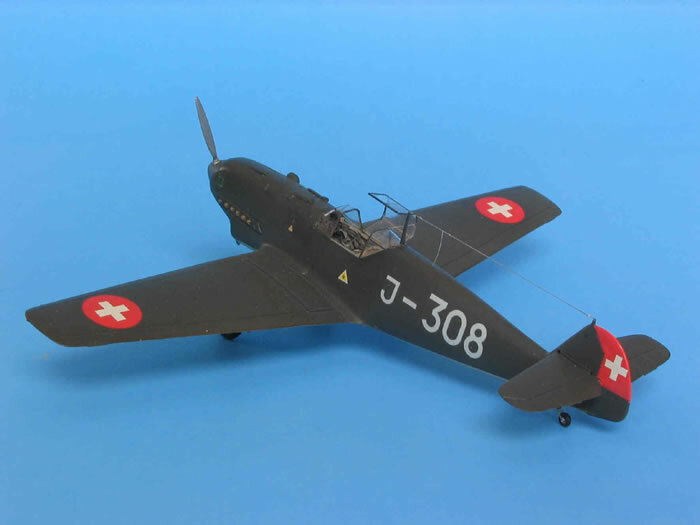 However, some modifications were necessary, because the armament of the Swiss Messerschmitts was different from their German counterparts. This was because the Messerschmitts the Germans delivered to the Swiss Air Force were without weapons. So it was necessary for Swiss-made Fl Mg 29 machine guns and Oerlikon FFK wing canons to be installed on the Messerschmitts before they could go into service. The Swiss machine guns were installed in the upper cowling parallel, instead of staggered as in German Bf 109s. Also, the U-shaped bulge above the guns was eliminated and replaced by two small, elongated bulges. On my model, these modifications were easily accomplished with some scraping and sanding. The new bulges were made from small pieces of styrene rod, and the visible portions of the machine gun barrels were replaced with pieces stretched sprue. The FFK wing cannons were installed only the Bf 109 Es. They were similar to the German MG FF cannons. The only noticeable difference is the shape of the muzzles, which I shaped from scraps of styrene rod. The remaining construction of the models was straight forward, even though some of the parts did not fit as well as I had hoped. I used Tamiya and Polly Scale acrylic paints to finish my models. 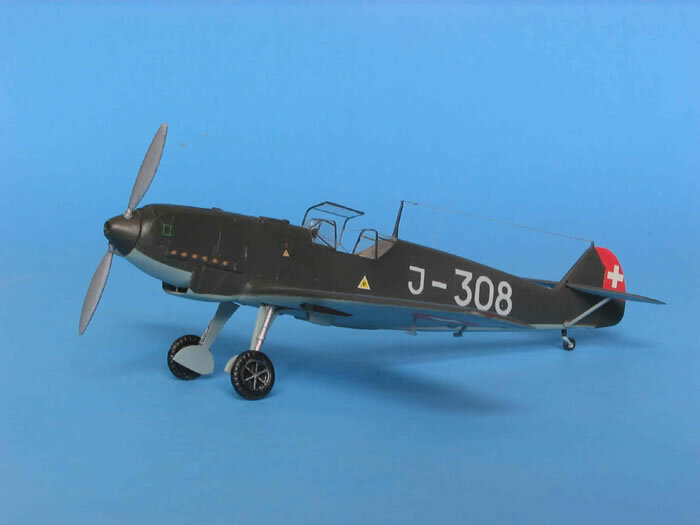 The Bf 109 D was airbrushed with Tamiya Dark Green upper surfaces and Polly Scale Hellblau undersides. 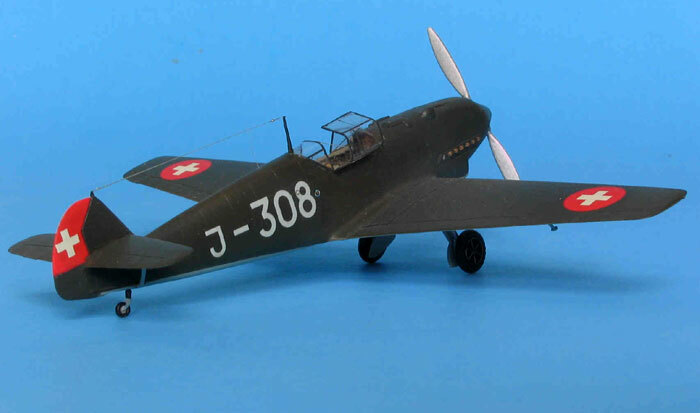 The same paint scheme was applied to the Bf 109 E with an added camouflage pattern of Polly Scale Schwarzgrun on the upper wing surfaces. 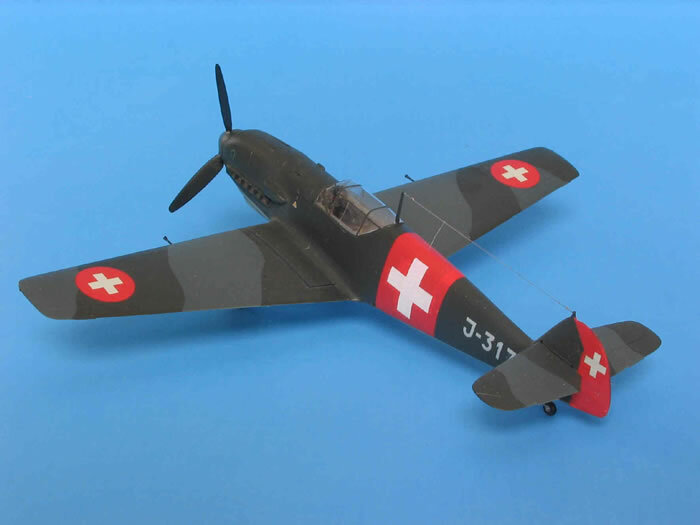 The Swiss Bf 109 Es had been delivered in a Dark Green/Schwarzgrun camouflage scheme that covered all upper surfaces. By 1940, the fuselages had been painted Dark Green overall after larger national insignias and smaller registration numbers had been applied to the fuselage sides. I used decals from the Hasegawa kits, and registration numbers from a Tally-Ho sheet. After airbrushing a final coat of clear flat my Messerschmitts were ready for display.